Never again would I hire this person and I suggest you don't. He does not know how to finish drywall at ALL. I read his reviews and can’t understand how he rates at 93% and get good reviews. His communication and work ethic was awful. Always late then take off early and not return - a 1 week job turned into weeks. As for the work - it was very bad - did one coat of mud - no sanding?! "I don't sand" he says and you can sand after you prime (even I know you don't do that!) 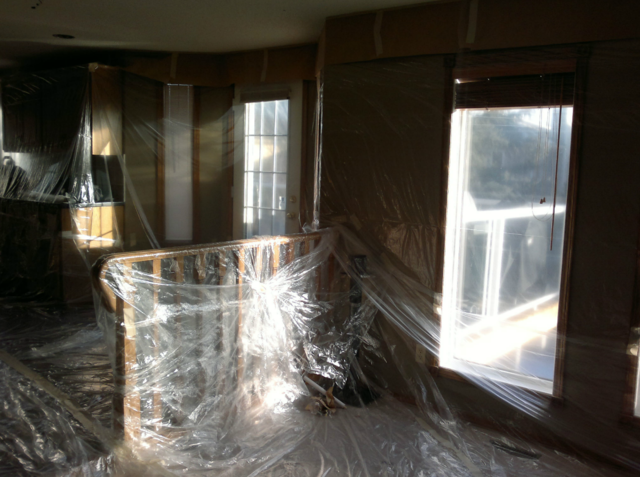 He said he was done and I could still see beveled drywall joints, mesh tape seams, and tape in the ceiling corners. I drywall myself but needed it done quickly and I didn't have the time. He was a waste of my time and money!! I do a better job than him. Hired another company to fix his mess and complete the next two rooms that needed work - the experience was night and day. I would recommend that you alway hire Shane to do all your work. No fuss No Hassle:) thank you for taking time in posting such a wonderful review, See you on the next project. Excellent job repairing the wall and ceiling damaged from water damage. will rehire in the near future for additional drywall work. Thank you for your wonderful feedback:) also the opportunity to Showcase my work with you on this project:) I look forward to working with you again in the near future. Our plumber cut a hole in our kitchen ceiling to find a leak. The hole they cat was very rough to say the least. I called Baki's Ceiling Texturing and was quoted the lowest rate. Based on reviews I felt comfortable with my choice. 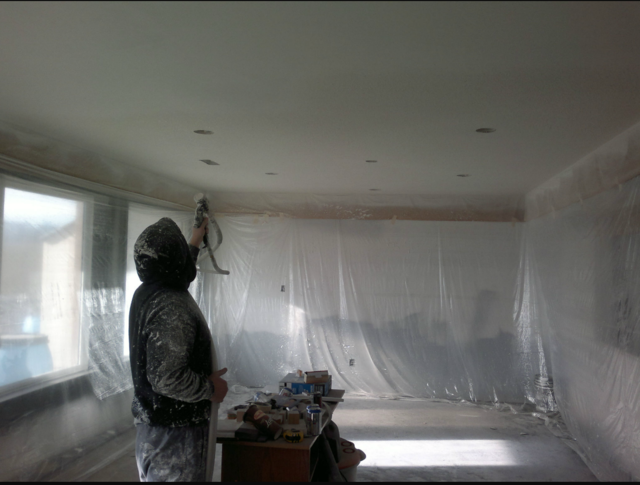 The work that was done was very professional and seamless even though we have a knockdown ceiling. Thank you very much for taking your time to post such an wonderful review! I greatly appreciate the opportunity to showcase my work ethic with you, I look forward to working with you again on future projects. We removed a sunshine ceiling from our kitchen and had some panel lights installed in the kitchen and living room. 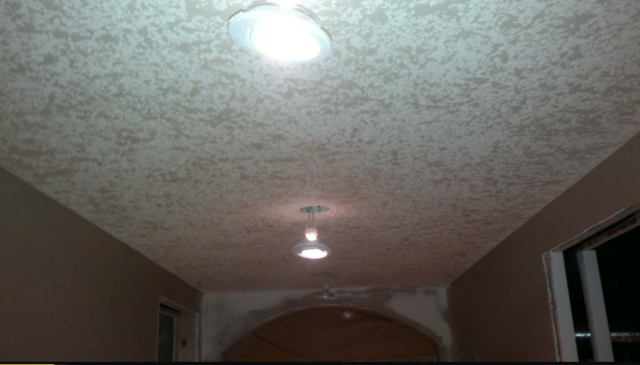 We hired Shane to repair the drywall and replace the popcorn ceiling with a knockdown effect. The end result is fantastic. Shane was highly professional from start to finish. I would highly recommend Baki’s Texturing. No fuss No hassle, it was truly a pleasure working with you from start to finish. Although Shane’s work and affordability are very good, its unfortunate that his poor attitude and customer service tend to overshadow this. Like most contractors, he was there the minute you request him for a quote, but when the work was due to be completed, he over-promises and under delivers. His punctuality and communication could use some work, as well as general business sense. He often displayed a lack of respect, shown by handing over his tools to his customers, saying that maybe we should do it if we think ‘its that easy’. He does not take criticism well at all, so if you do hire him, make sure to stroke his ego along the way, his mood will be instantly elevated. He would often get extremely defensive when you would comment on something that could be improved, or when offering a suggestion. Knockdown looks great however. Thanks for taking the time to write your review.we are extremely surprised to hear about these concerns,as we take customer service very seriously and we not made aware of these concerns during the service.i do appreciate your feedback as I am striving to give my clients the best quality service possible. If there is any way to resolve this issue please feel free to contact us directly and hopefully we can find a fair way to move forward. Thanks again! This is the second time I have used Shane, and I would recommend him. I used him for my kitchen ceiling reno last year, and this year I used him to completely finish my garage. 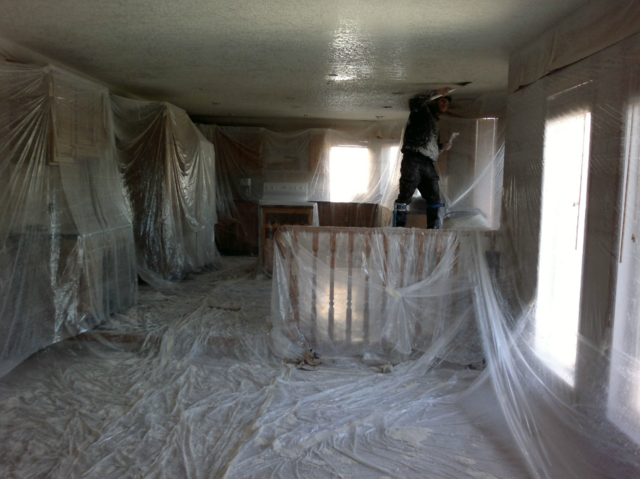 Insulate, drywall, tape, and paint. Excellent workmanship and best price in town. Thanks Sean for taking your time to post a review. Your feedback is greatly appreciated! We are very great full to have such amazing clients:) look forward to the next projects together. 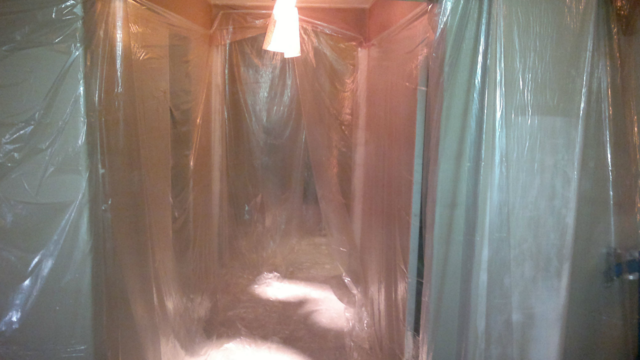 I had an excellent experience with Shane when it came to redoing my ceiling. 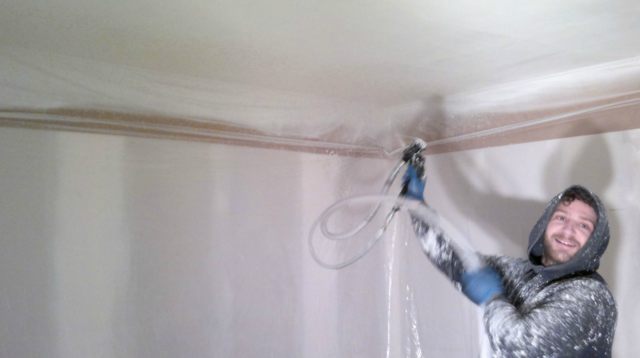 He was on time, on budget, and when there was a spot that didn't look quite right (due to the underlying drywall) he came back immediately to make it right at no extra cost. Thank you for the wonderful review.i look to working with you again on any future projects. I recommend Baki's texturing, they were easy to deal with, very professional, came in on budget and did quality work. I appreciate that they arrived on time and completed the work ons schedule as agreed upon. Hi Eric thank you so very much for you feedback. We are very lucky to have such amazing clients! We look forward to working with you again on future projects. Ceiling, scraped, re-sprayed and painted. I shopped around. Great price for quality work. Shane refinished the ceilings of our two story home except for a few closets. This was not an easy job with a two story foyer and awkward corners. It was also done in two stages as I am in the middle of a bathroom reno. Shane squeezed us in to work with our contractors schedule - he worked late and brought in help to get the job done on time. Thank you for your hard work Shane! Thank you for the opportunity to show you our quality of work! We greatly appreciate your business and look forward to working with you again in the future!